The road to richer emergency support. A book by Hannes Tschofenig, and Henning Schulzrinne. Last week EENA organized their yearly EU emergency services workshop in Riga/Latvia. As in the past many emergency services authorities, regulators, vendors, and service providers showed up to discuss the hottest topics. I had the pleasure to meet Mark Fletcher again, who arrived in Riga with his podcasting equipment. 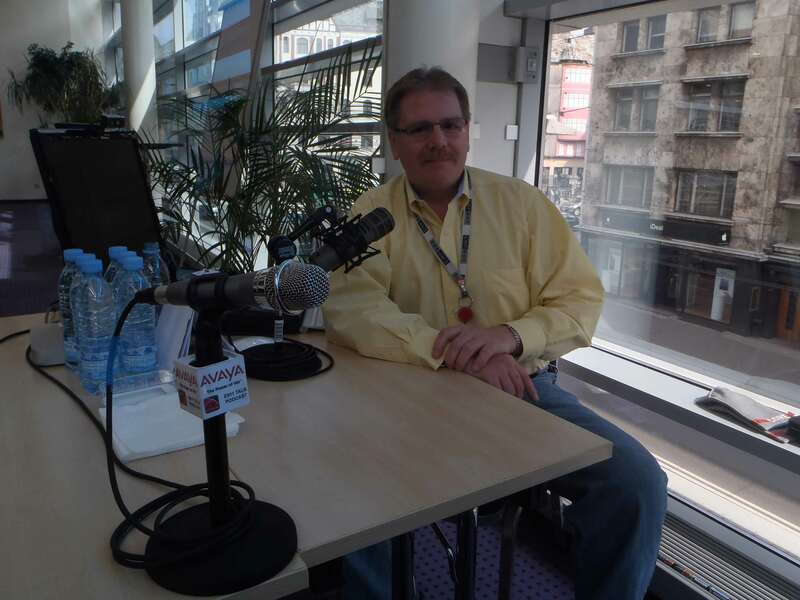 Mark interviewed me about the Next Generation 112 work done in EENA as it was again on the agenda of this meeting because of the recently shipped update of the specification. 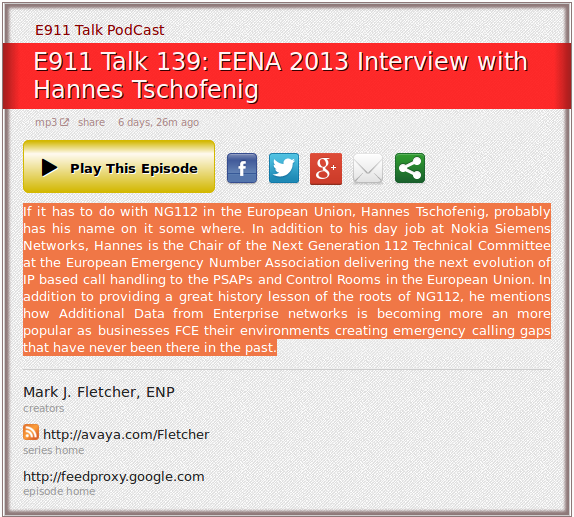 Mark regularly interviews folks from the emergency services community in his E911 podcast series. This entry was posted in Uncategorized and tagged EENA, EU Emergency Services Workshop, Mark Fletcher, NG112 on April 24, 2013 by Hannes Tschofenig.